125A Three Phase Distro - Hire | On Event Production Co. 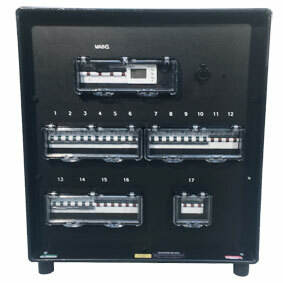 This is a water resistant tough high impact resistant 125A three phase distribution box. Perfect for use on indoor or outdoor events. The box like shape allows for easy stacking when short for space. This distro comes with built in Dual 5V USB 2.1A sockets.